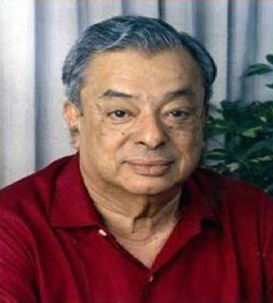 The eminence Dairy India enjoys today is due to the unstinting support extended by Dr Verghese Kurien. In 1980, our Founder-Editor, P.R. Gupta, first met Dr Kurien in Anand and discussed his idea of publishing a compendium on and for the Indian dairy industry. Dr Kurien not only welcomed the idea but also took keen interest in the compilation of the first edition, contributing its ‘Preface’ and released it in 1983. Dr Kurien contributed articles to all six editions of Dairy India. 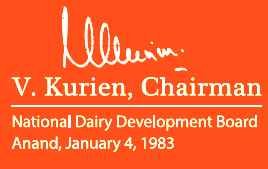 As does our nation, we in Dairy India owe a debt of gratitude to Dr Kurien, a debt that can never be repaid. This, our seventh edition, is being published after his passing in September 2012. It is respectfully dedicated to him. We reproduce a few lines from the ‘Preface’ Dr Kurien wrote in 1983. Now that a stage has been reached where marginal changes in the rhythm of the dairy industry’s activity can make a big difference in terms of productivity and benefits to the farmer, there is all the more need for finer tools of management. One such vital tool is information. Whatever is available is sketchy, scattered — and often contestable: at times, even of dubious reliability. Hence, the urgent need for a publication which will serve as a databook for the industry, while mirroring its hopes and aspirations. Mapping the profile of such a widespread and fast-changing enterprise is indeed a Herculean task. It is for this reason that all of us in the industry will welcome the publication of Dairy India . In essence, Dairy India sets out to answer one key question: What is our dairy industry? It has tried to do so in several ways: as a databook of facts and figures, a compendium of trends and achievements, a manual of management practices, and a directory of suppliers and services. The leading personalities and agencies associated with our dairy industry — be they in industry, commerce, education, research or government — are identified in this compendium by their business and geographic locations; some 5,000 names figure in the varied sections of this Dairy India. This blend of technical and economic information will help in better utilisation of existing facilities. Dairy India can also serve as a self-help manual for Project/Training Officers, extension workers, progressive farmers and students.